Botox® is a non-surgical treatment that softens facial lines for a rejuvenated and youthful appearance. Botox® (Botulinum toxin A) is a non surgical treatment which softens facial lines resulting in a rejuvenated and youthful appearance. Selected areas on the face are treated by relaxing the muscles, reducing the signs of stress and aging. Botulinum toxin is also a highly effective treatment for excessive sweating. Our injecting nurses Trish, Michelle and Katie are highly trained, with years of experience, regularly attending meetings to finesse their techniques. Your treatment plan is guided directly by Dr Tallon. 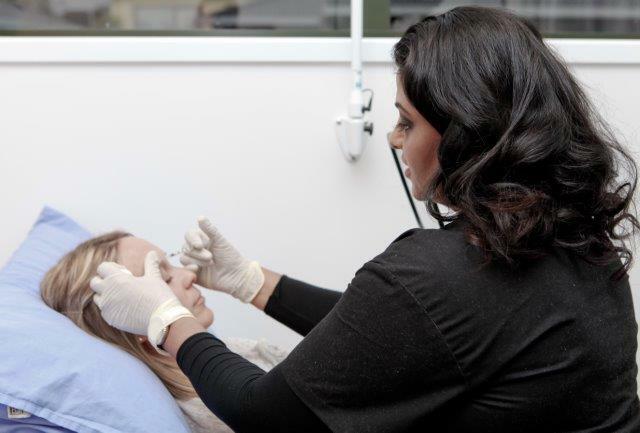 Call us to arrange a no obligation Botox® consultation, where a tailor made treatment plan can be created to suit your needs. For those not aware, lip augmentation is most commonly performed with hyaluronic acid-based fillers, like Juvéderm, Volbella, Vollure, and Restylane, but Botox® can also be used to slightly shape up the lips to create a "poutier look." "When used alone, or in combination with fillers, Botox® gives lips a subtle pout-magnification by flipping out the lip line, rolling the lip gently outward, and giving the appearance of a fuller, sexier pout. Keep in mind, though, that filler and Botox® are not the same, and do not bring the same results. Filler adds volume, which makes the lip appear larger by literally making it bigger, says Dr Tallon, while Botox® relaxes muscles around the mouth, called the "orbicularis oris," and rolls the lip outward (i.e. "flipping" it), creating the illusion of a bigger lip — without the added volume. For people that smile aggressively, Botox® can decrease amount of gum shown. Also, for those whose full lips disappear and get thinned out when they smile, Botox® can correct that. Previously, a gingivectomy, an operation to remove some of the extra gum tissue, saw doctors sever the muscles that elevate the upper lip so it can no longer rise as high. In extreme cases, patients would undergo orthognathic surgery, which can take up to two years to complete and repositions the upper jaw if it sticks out too much. But Botox® works by paralyzing the hyperactive muscles in the upper lip, reducing its elevation and ultimately reducing the inhibiting 'gummy smile'.